Hi! I'm Lisa Gordon, the founder of The K9 Spa. I've been surrounded by dogs from a young age; from my father breeding and showing Great Danes and getting them to Crufts many moons ago, to our collective family and friends owning many different breeds throughout the years; Great Danes of course, German Shepherds, Cocker Spaniels, Corgis, Retrievers and many more. These wonderful memories and experiences of all these great dogs have given me a strong affinity with K9s of every size, temperament and age. 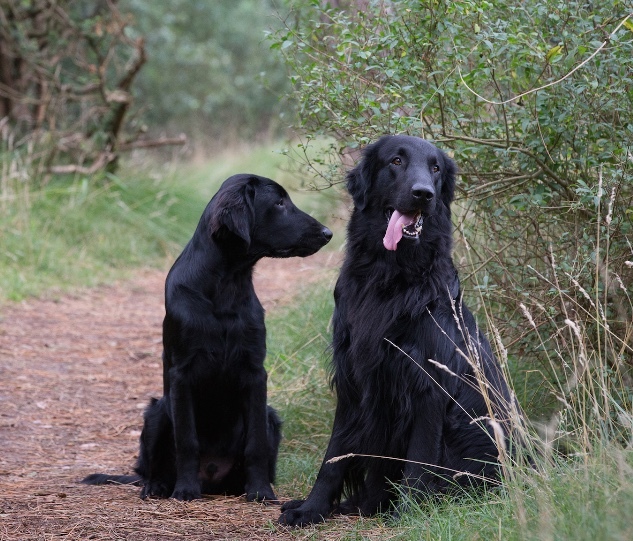 We are very proud owners of two Flat Coated Retrievers who give us and our family such great pleasure with their fun Peter Pan outlook on life - full of mischief! Wanting to set-up The K9 Spa and groom our own flatties, I undertook comprehensive training and successfully completed my City & Guilds Dog Grooming examinations at The College of Animal Welfare gaining distinctions. The vision is to make all the local K9s the talk of the town and for the Spa to be recognised as a market leader in Professional Dog Grooming Services. As a business, we wish to continually strive to expand our knowledge and keep up to date with industry trends and advice, relevant legislation, along with attending industry events to further improve our services to you. Here’s to all the barking and fabulous K9s that we share in our world and I very much look forward to welcoming you to The K9 Spa soon.